Front row (left to right): 1. Ralph Laughlin, 2. Conrad Lobush, 3. Roger O’Brien, 4. Russel Lemos, 5. Gordon Johnson, 6. Willis Hobbs, 7. Larry Farnam. Second row: 1. Danny Costa, 2. Rosemary Armstrong, 3. Laurel Mourterot, 4. Barbara Nissen, 5. Katherine Bells, 6. Lenore Farnam, 7. Wensel Blair. Third row: 1. Bill Mustain, 2. Archie Chase, 3. Andy Kappadahl, 4. Mike Cassidy, 5. Mike Stafford, 6. John Ambro, 7. Don Crist. Fourth row: 1. Alice Bubnar, 2. Judy Perry, 3. Joan Hughes, 4. Mary Claire Ayen, 5. Judy Moore, 6. Art Rosa, 7. Robert Montgomery. 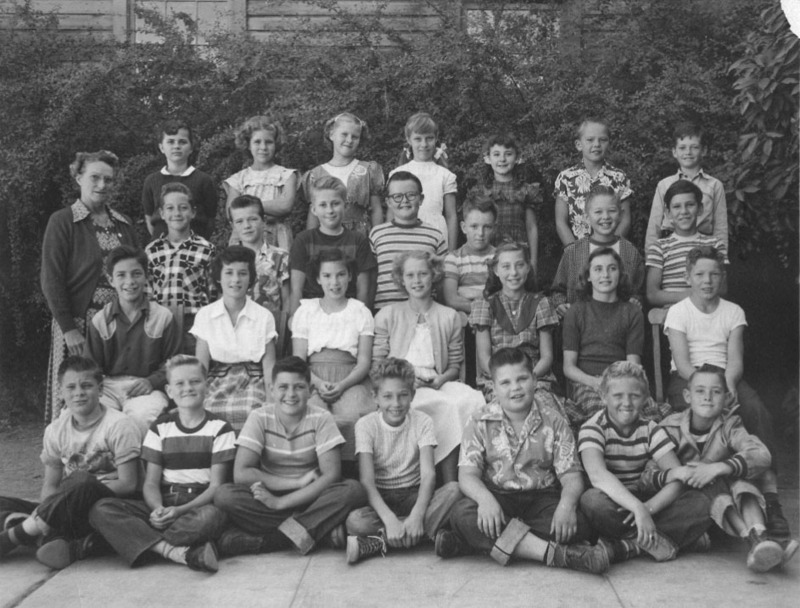 To find other pictures from Livermore Elementary School in the archive, see Livermore class pictures listed by school. And if you have any pictures from the Livermore Schools that you would like to share, please submit them to the Archive.